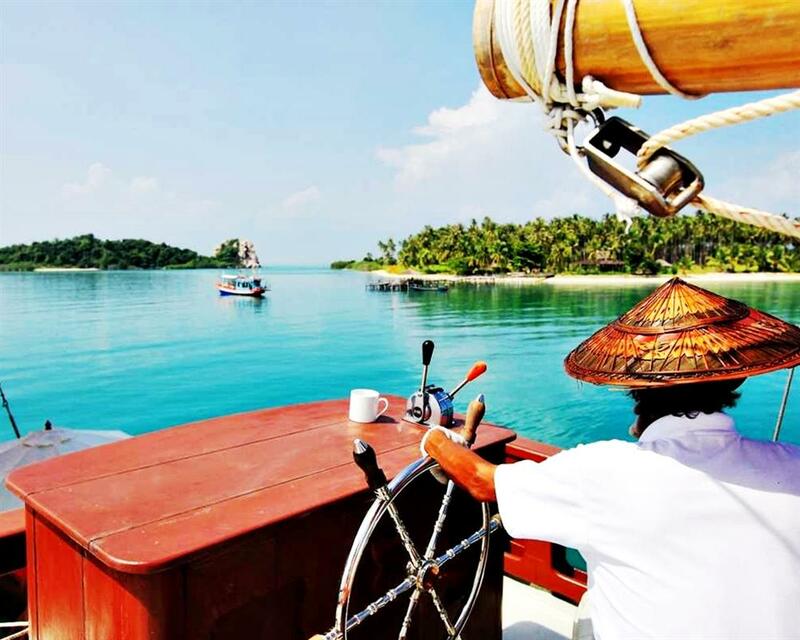 Heading to Koh Phangan island to find the best snorkeling spots in the whole area. 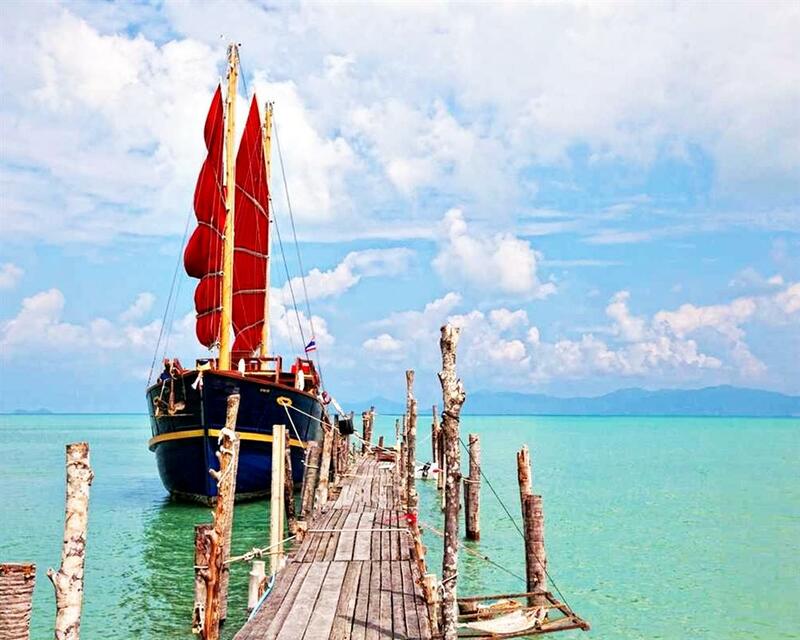 The white sandy beaches at the cost of Koh Phangan island will definitely amazed you. Enjoy your day with palms around you,you will feel so free and so fantastic. 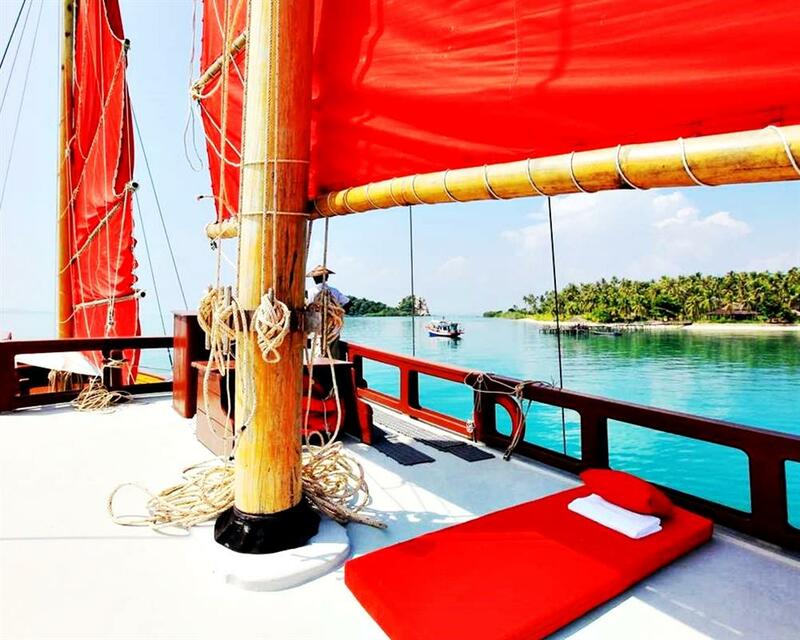 Set sail on a beautiful, spacious yacht with your fellow travelers and have every need tended to by your friendly, professional crew. Explore hidden beaches on the unspoiled island of Koh Phangan and soak up the sun or unwind in the shade of a coconut tree. 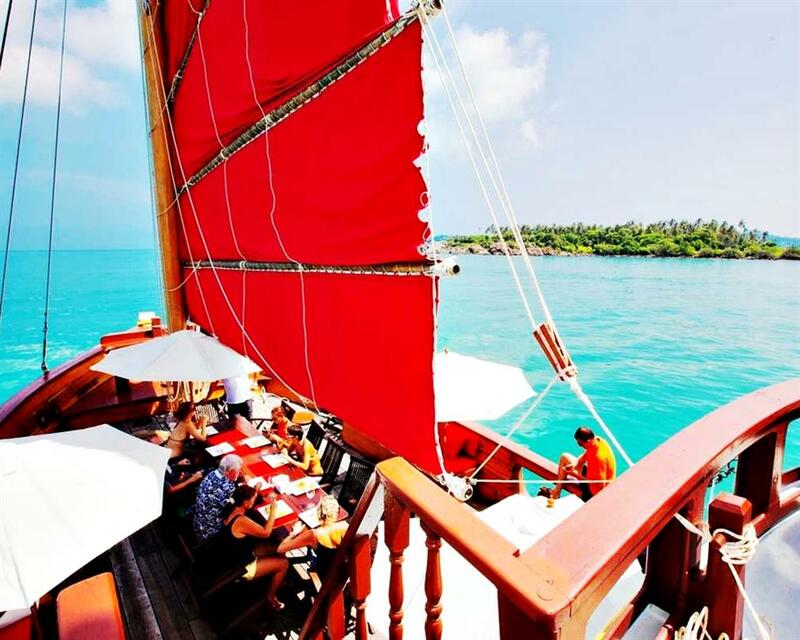 Snorkel the crystal waters to shallow sandbars and enjoy a brunch buffet filled with tasty Thai dishes. 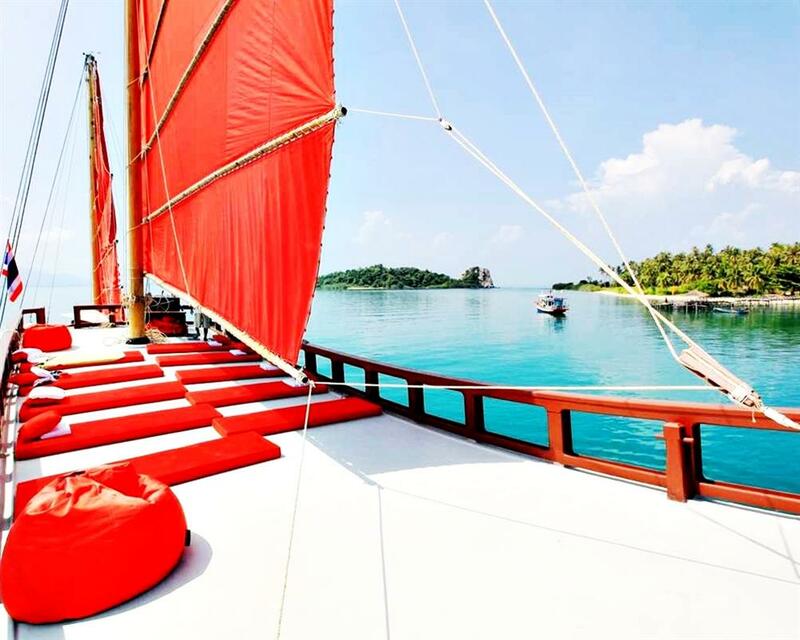 Sail aboard the Red Baron, a luxury yacht with traditional sails. 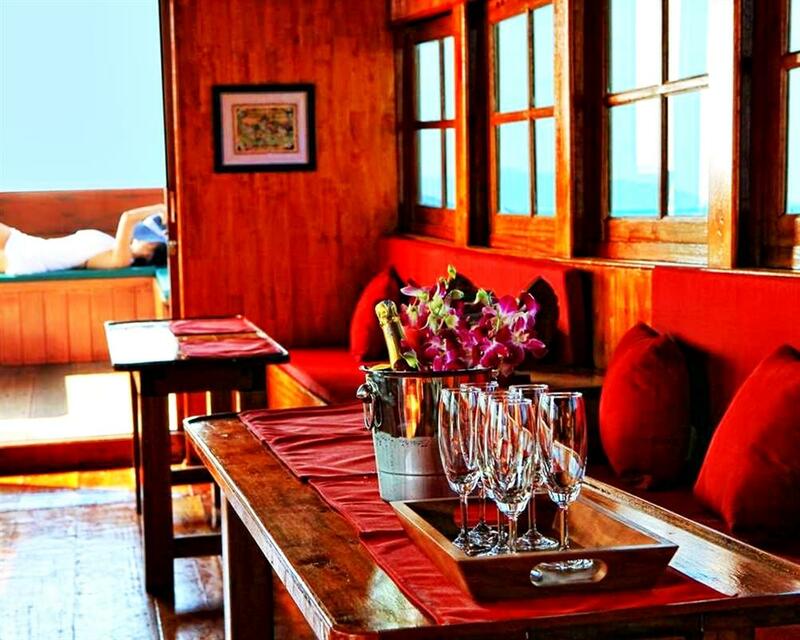 Enjoy a welcome drink and unlimited nonalcoholic beverages. 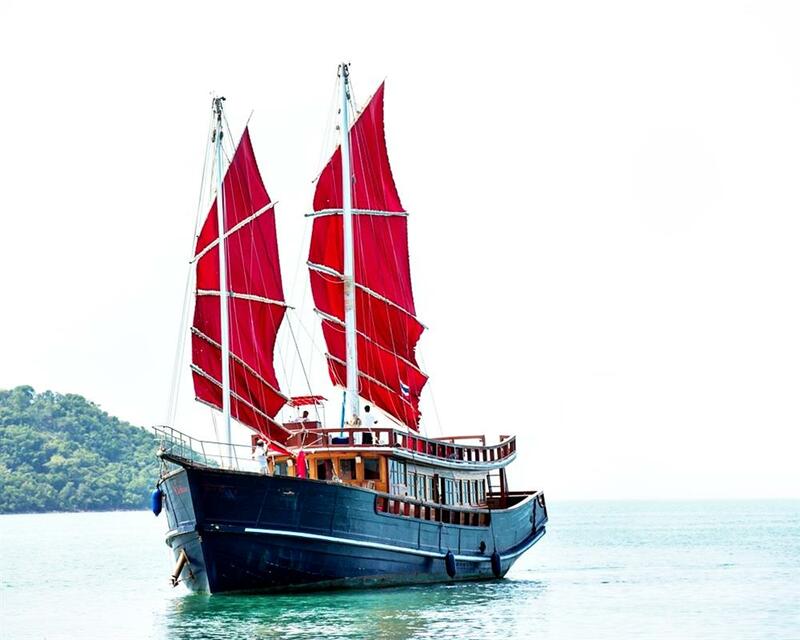 Experience a swim in the pristine clear water of Koh Ma, snorkeling with fishes all around you. Brunch Buffet with a great variety of appetizers and the mouthwatering Traditional Thai dishes, fresh fruits. Nathon and Bang Po 09:00 - 09:15 am. Tour Operations every Wednesday and Sunday: Start time 10:00 am - 16:00 pm. / 6 hrs.